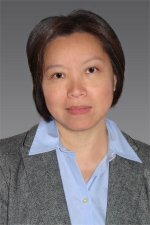 Dr. L. Ruby Leung is a Battelle Fellow at Pacific Northwest National Laboratory and an Affiliate Scientist at National Center for Atmospheric Research. Her research broadly cuts across multiple areas in modeling and analysis of climate and the hydrological cycle including land-atmosphere interactions, orographic processes, monsoon climate, climate extremes, land surface processes, and aerosol-cloud interactions. Her research on climate change impacts has been featured in Science, Popular Science, Wall Street Journal, National Public Radio, and many major newspapers. Dr. Leung is the Chief Scientist of Energy Exascale Earth System Model (E3SM) supported by Department of Energy. She has organized key workshops sponsored by DOE, NSF, NOAA, and NASA, and served on advisory panels and NRC committee that define future priorities in climate modeling, hydroclimate, and water cycle research. She is an editor of the American Geophysical Union Journal of Geophysical Research - Atmospheres and American Meteorological Society Journal of Hydrometeorology. She has published over 250 peer-reviewed journal articles and has been session chairs and keynote/invited speakers in many workshops and conferences. Leung L., and L.W. Vail. 2016. Potential Impacts of Accelerated Climate Change. PNNL-24868 Rev. 1. Richland, WA: Pacific Northwest National Laboratory. Leung L., and Y. Gao. 2016. "Regional downscaling of S2S prediction: Past lessons and future prospects." US CLIVAR Variations 14, no. 4:13-17. PNNL-SA-122609. Leung L.R. 2016. "Atmospheric Rivers." In Handbook of Applied Hydrology, Second Edition, edited by VP Singh. 72-3-72-9. New York, New York:McGraw-Hill Education. PNNL-SA-114685. Chen S., J. Huang, C. Zhao, Y. Qian, L.R. Leung, and B. Yang. 2013. "Modeling the Transport and Radiative Forcing of Taklimakan Dust over the Tibetan Plateau: A case study in the summer of 2006." Journal of Geophysical Research. D. (Atmospheres) 118, no. 2:797�812. PNNL-SA-89039. Hou Z., M. Huang, D.H. Bacon, and L.R. Leung. 2013. "Parameter Dimensionality Reduction in Complex Earth System Models through Exploratory Data Analyses and Calibration." In MODFLOW and More 2013: Translating Science into Practice, June 2-5, 2013, Golden, Colorado, edited by R Maxwell, et al, 159-163. Golden, Colorado:Integrated Ground Water Modeling Center (IGWMC), Colorado School of Mines. PNNL-SA-95103. Li H., H. Wu, M. Huang, and L.R. Leung. 2012. "Representing natural and manmade drainage systems in an earth system modeling framework." Irrigation & Drainage Systems Engineering 1, no. 2:Article No. e107. PNNL-SA-90216. Banner J.L., C.S. Jackson, Z. Yang, K. Hayhoe, C. Woodhouse, L. Gulden, and K. Jacobs, et al. 2010. "Climate Change Impacts on Texas Water: A White Paper Assessment of the Past, Present and Future and Recommendations for Action." Texas Water Journal 1, no. 1:1-19. PNNL-SA-75451. Lu N., Z.T. Taylor, W. Jiang, C. Jin, J. Correia, L.R. Leung, and P.C. Wong. 2010. "Climate Change Impacts on Residential and Commercial Loads in the Western U.S. Grid." IEEE Transactions on Power Systems 25, no. 1:480-488. PNNL-SA-62518. Mearns L.O., W. Gutowski, R. Jones, L.R. Leung, S. McGinnis, A. Nunes, and Y. Qian. 2009. "A Regional Climate Change Assessment Program for North America." Eos 90, no. 36. PNNL-SA-68330. Wong P.C., L.R. Leung, N. Lu, M.L. Paget, J. Correia, W. Jiang, and P.S. Mackey, et al. 2009. "Predicting the Impact of Climate Change on U.S. Power Grids and Its Wider Implications on National Security." In AAAI Spring Symposium on Technosocial Predictive Analytics, SS-09-09, 148-153. Menlo Park, California:AAAI Press. PNNL-SA-62199. Lu N., Z.T. Taylor, W. Jiang, Y. Xie, L.R. Leung, J. Correia, and P.C. Wong, et al. 2008. Climate Change Impacts on Residential and Commercial Loads in the Western U.S. Grid. PNNL-17826. Richland, WA: Pacific Northwest National Laboratory. Qian Y., Q. Song, S. Menon, S. Yu, S.C. Liu, G. Shi, and L.R. Leung, et al. 2008. "Climate Impacts of Atmospheric Sulfate and Black Carbon Aerosols." In Changes In The Human-Monsoon System Of East Asia In The Context Of Global Change, edited by C Fu, JR Freney. JWB Stewart. 115-132. Hackensack, New Jersey:World Scientific Publishing Company, Imperial College Press. PNNL-SA-45010. Gustafson W.I., and L.R. Leung. 2007. "Regional Downscaling for Air Quality Assessment: A Reasonable Proposition?." Bulletin of the American Meteorological Society 88, no. 8:1215-1227. PNNL-SA-50718. Duffy P., R. Arritt, J. Coquard, W. Gutowski, J. Han, J. Iorio, and J. Kim, et al. 2006. "Simulations of Present and Future Climates in the Western United States with Four Nested Regional Climate Models." Journal of Climate 19, no. 6:873-895. PNNL-SA-46110. Leung L.R., Y. Kuo, and J. Tribbia. 2006. "Research Needs and Directions of Regional Climate Modeling Using WRF and CCSM." Bulletin of the American Meteorological Society 87, no. 12:1747-1751. PNNL-SA-46312. Qian Y., D.P. Kaiser, L.R. Leung, and M. Xu. 2006. "More Frequent Cloud-Free Sky and Less Surface Solar Radiation in China from 1955 to 2000." Geophysical Research Letters 33, no. 1:L01812, doi: 10.1029/2005GL024586. PNNL-SA-45886. Wong P.C., H.P. Foote, L.R. Leung, E.R. Jurrus, D.R. Adams, and J.J. Thomas. 2006. "Vector Fields Simplification-A Case Study of Visualizing Climate Modeling and Simulation Data Sets." In Visualization 2000. Proceedings, 485 - 488, 596. New York City, New York:IEEE. PNNL-SA-34863. Hogrefe C., L.R. Leung, L.J. Mickley, S.W. Hunt, and D.A. Winner. 2005. "Considering Climate Change in U.S. Air Quality Management." EM: Air & Waste Management Association's magazine for environmental managers October 2005. PNNL-SA-45957. Leung L.R. 2005. "Effects of Climate Variability and Change on Mountain Water Resources in the Western U.S." In Global Change and Mountain Regions, Advances in Global Change Research, edited by UM Huber, HKM Bugmann, and MA Reasoner. 355-364. Dordrecht:Springer. PNNL-SA-37388. Leung L.R., and Y. Qian. 2005. "Downscaling Extended Weather Forecasts for Hydrologic Prediction." Bulletin of the American Meteorological Society 86, no. 3:332-333. PNWD-SA-6940. Leung L.R., and Y. Qian. 2005. "Hydrologic Response to Climate Variability, Climate Change, and Climate Extreme in the U.S.: Climate Model Evaluation and Projections." In Regional Hydrological Impacts of Climate Change - Impact Assessment and Decision Making, IAHS Publication 295, edited by T. Wagener, et al. 37-44. Wallingford, Oxfordshire:IAHS Press. PNNL-SA-46314. Zhao Z., L.R. Leung, and Y. Qian. 2005. "Characteristics of Diurnal Variations of Rainfall in China for the Recent Years." Exchanges : newsletter of the Climate Variability and Predictability Programme (CLIVAR) 10, no. 3:24-26. PNNL-SA-46313. Guo J., X. Liang, and L.R. Leung. 2004. "Impacts of Different Precipitation Data Sources on Water Budgets." Journal of Hydrology 298, no. 1-4:311-334. PNNL-SA-41322. Leung L.R., S. Zhong, Y. Qian, and Y. Liu. 2004. "Evaluation of Regional Climate Simulations of the 1998 and 1999 East Asian Summer Monsoon Using the GAME/HUBEX Observational Data." Journal of the Meteorological Society of Japan 82, no. 6:1695-1713. PNNL-SA-41327. Leung L.R., Y. Qian, X. Bian, W.M. Washington, J. Han, and J.O. Roads. 2004. "Mid-Century Ensemble Regional Climate Change Scenarios for the Western United States." Climatic Change 62, no. 1-3:75-113. PNNL-SA-37362. Liang X., J. Guo, and L.R. Leung. 2004. "Assessment of the Effects of Spatial Resolutions on Daily Water Flux Simulations." Journal of Hydrology 298, no. 1-4:287-310. PNNL-SA-43037. Wang Y., L.R. Leung, J.L. McGregor, D. Lee, W. Wang, Y. Ding, and F. Kimura. 2004. "Regional Climate Modeling: Progress, Challenges, and Prospects." Journal of the Meteorological Society of Japan 82, no. 6:1599-1628. PNNL-SA-41328. Wong P.C., H.P. Foote, D.R. Adams, W.E. Cowley, L.R. Leung, and J.J. Thomas. 2004. "Visualizing Data Streams." In Visual and Spatial Analysis: Advances in Data Mining, Reasoning, and Problem Solving, edited by Boris Kovalerchuk and James Schwing. 265-291. Dordrecht:Springer. PNNL-SA-41466. Wood A.W., L.R. Leung, V. Sridhar, and D.P. Lettenmaier. 2004. "Hydrologic Implications of Dynamical and Statistical Approaches to Downscaling Climate Model Outputs." Climatic Change 62, no. 1-3:189-216. PNNL-SA-37377. Leung L.R., and Y. Qian. 2003. "Changes in Seasonal and Extreme Hydrologic Conditions of the Georgia Basin/Puget Sound in an Ensemble Regional Climate Simulation for the Mid-Century." Canadian Water Resources Journal 28, no. 4:605-631. PNNL-SA-41326. Leung L.R., and Y. Qian. 2003. "The Sensitivity of Precipitation and Snowpack Simulations to Model Resolution via Nesting in Regions of Complex Terrain." Journal of Hydrometeorology 4, no. 6:1025-1043. PNNL-SA-37337. Leung L.R., L.O. Mearns, F. Giorgi, and R.L. Wilby. 2003. "Regional Climate Research: Needs and Opportunities." Bulletin of the American Meteorological Society 84, no. 1:89-95. PNNL-SA-37372. Leung L.R., Y. Qian, and X. Bian. 2003. "Hydroclimate of the Western United States Based on Observations and Regional Climate Simulations of 1981-2000. Part I: Seasonal Statistics." Journal of Climate 16, no. 12:1892-1911. PNNL-SA-35915. Leung L.R., Y. Qian, J. Han, and J.O. Roads. 2003. "Intercomparison of Global Reanalyses and Regional Simulations of Cold Season Water Budgets in the Western United States." Journal of Hydrometeorology 4, no. 6:1067-1087. PNNL-SA-37355. Leung L.R., Y. Qian, X. Bian, and A.G. Hunt. 2003. "Hydroclimate of the Western United States Based on Observations and Regional Climate Simulations of 1981-2000. Part II: Mesoscale ENSO Anomalies." Journal of Climate 16, no. 12:1912-1928. PNNL-SA-35916. Qian Y., L.R. Leung, S.J. Ghan, and F. Giorgi. 2003. "Regional Climate Effects of Aerosols Over China: Modeling and Observation." Tellus Series B, Chemical and Physical Meteorology 55, no. 4:914-934. PNNL-SA-37550. Wigmosta M.S., and L.R. Leung. 2003. "Potential Impacts of Climate Change on Streamflow and Flooding in Snow Dominated Forest Basins." In Environmental Change and Geomorphic Hazards in Forests: IUFRO Research Series, No. 9, edited by R.C Sidle. 7-24. Wallingford:CABI Publishing. PNNL-SA-31837. Chin G., L.R. Leung, K.L. Schuchardt, and D.K. Gracio. 2002. "New Paradigms in Problem Solving Environments for Scientific Computing." In Proceedings of the 7th International Conference on Intelligent User Interfaces, 39-46. New York, New York:ACM Press. PNNL-SA-35737. Leung L.R., X. Bian, and Y. Qian. 2002. "Long-Term Regional Climate Simulations Driven by Two Global Reanalyses and a GCM for the Western United States." In 4th International Scientific Conference on Global Energy and Water Cycle, 13th Symposium on Global Change and Climate Variations, 65-67. Boston, Massachusetts:American Meteorological Society. PNNL-SA-34823. Thomson A.M., R.A. Brown, S.J. Ghan, R.C. Izaurralde, N.J. Rosenberg, and L.R. Leung. 2002. "Elevation dependence of winter wheat production in eastern Washington state with climate change: A methodological study." Climatic Change 54. PNNL-SA-35094. Wong P.C., H.P. Foote, D.L. Kao, L.R. Leung, and J.J. Thomas. 2002. "Mulitvariate Visualization with Data Fusion." Information Visualization 1, no. 3-4:182-193. PNNL-SA-42184. Wong P.C., H.P. Foote, D.L. Kao, L.R. Leung, and J.J. Thomas. 2002. "Mulitvariate Visualization with Data Fusion." In Infomation Visualization, edited by Chaomei Chen, 1, 182-193. Hampshire:MacMillan. PNNL-SA-36166. Chin G., L.R. Leung, K.L. Schuchardt, and D.K. Gracio. 2001. "Conceptualizing a Collaborative Problem-Solving Environment for Regional Climate Modeling and Assessment of Climate Impacts." In Computational science - ICCS 2001 : international conference, San Francisco, CA, USA, May 28-30, 2001 : proceedings /, edited by Vassil Alexandrov, 2073, 159-174. New York, New York:Springer. PNNL-SA-34489. Ghan S.J., N.S. Laulainen, R.C. Easter, R. Wagener, S. Nemesure, S. Nemesure, and E.G. Chapman, et al. 2001. "Evaluation of Aerosol Direct Radiative Forcing in MIRAGE." Journal of Geophysical Research. D. (Atmospheres) 106, no. D6:5295-5316. PNWD-SA-5025. Ghan S.J., R.C. Easter, E.G. Chapman, H. Abdul-Razzak, H. Abdul-Razzak, Y. Zhang, and L.R. Leung, et al. 2001. "A Physically-Based Estimate of Radiative Forcing by Anthropogenic Sulfate Aerosol." Journal of Geophysical Research. D. (Atmospheres) 106, no. D6:5279-5293. PNWD-SA-5024. Leung L.R., and M.S. Wigmosta. 2000. "The roles of subgrid topography on land-atmosphere interactions." In 15th Conference On Hydrology, 194-197. Boston, Massachusetts:American Meteorological Society. PNNL-SA-31707. Wong P.C., H.P. Foote, L.R. Leung, D.R. Adams, and J.J. Thomas. 2000. "Data Signature and Visualization of Scientific Data Sets." IEEE Computer Graphics and Applications 20, no. 2:12-15. PNNL-SA-32343. Ghan S.J., L.R. Leung, and J. McCaa. 1999. "A Comparison of Three Different Modeling Strategies for Evaluating Cloud and Radiation Parameterizations." Monthly Weather Review 127, no. 9:1967-1984. PNNL-SA-29873. Leung L.R., A.F. Hamlet, D.P. Lettenmaier, and A. Kumar. 1999. "Simulations of the ENSO Hydroclimate Signals in the Pacific Northwest Columbia River Basin." Bulletin of the American Meteorological Society 80, no. 11:2313-2329. PNNL-SA-30515. Leung L.R., and M.S. Wigmosta. 1999. "Potential climate change impacts on mountain watersheds in the Pacific Northwest." Journal of the American Water Resources Association 35, no. 6:1463-1471. PNNL-SA-31708. Leung L.R., and S.J. Ghan. 1999. "Pacific Northwest Sensitivity Simulated by a Regional Climate Model Driven by a GCM. Part I: Control Simulations." Journal of Climate 12, no. 7:2010-2030. PNNL-SA-29966. Leung L.R., and S.J. Ghan. 1999. "Pacific Northwest Sensitivity Simulated by a Regional Climate Model Driven by a GCM. Part II: 2XCO2 Simulations." Journal of Climate 12, no. 7:2031-2053. PNNL-SA-29967. Leung L.R., S.J. Ghan, Z. Zhao, Y. Luo, W. Wang, H. Wei, and H. Wei. 1999. "Intercomparison of Regional Climate Simulations of the 1991 Summer Monsoon in Eastern Asia." Journal of Geophysical Research. D. (Atmospheres) 104. PNNL-SA-30245. Leung L.R., and S.J. Ghan. 1998. "Parameterizing Subgrid Orographic Precipitation and Surface Cover in Climate Models." Monthly Weather Review 126, no. 12:3271-3291. PNNL-SA-29059.